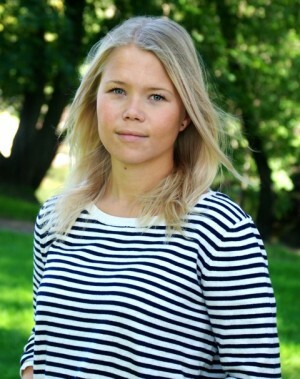 Vibeke Munthe-Kaas took over this month as boss at the Association for Norwegian Students Abroad (ANSA). As the students’ top lobbyist, two of her top priorities are to secure first-year funding for Norwegian students in the US, and to change current regulations to secure authorization for Norwegian students who qualify for it in their fields abroad. Munthe-Kaas believes that her generation has a different kind of leadership style. “We are more used to putting ourselves forward and being seen. It’s largely due to [social] media. It means that we are bolder and maybe more persistent,” she told newspaper Dagens Næringsliv (DN). She comes to the top job fresh from completing a bachelor’s degree in international politics in Australia. She worked as regional ANSA leader while studying, getting to know the organization from the inside. Her job will involve a lot of travel to visit many of ANSA’s 9,500 members, and listen to and raise their concerns with politicians. There are currently 21,300 students from Norway studying in more than 90 countries, at more than 1,200 educational institutions worldwide. Students who chose to study in the US have the additional challenge that they don’t receive funding for their first (freshman) year of study. Munthe-Kaas says this creates inequality, as only the wealthiest students can afford the first year and thus study in the States. She’ll campaign to get that changed. Since the first year is not recognized as higher eductation by authorities in Norway, who equate it to the last year of Norwegian secondary education, students only receive funding from the Norwegian State Educational Loan Fund (Lånekassen), for the following three years of their study program. It’s an issue that she has taken up with politicians, and Education Minister Kristin Halvorsen has already promised to take it up after the election if she survives it. All the other political parties also have it in their election program, so it will not be dropped because of a change of government. But Munthe-Kaas will fight for it until it is “there in black and white in the State Budget for 2014.” The US Embassy in Oslo, keen to have more Norwegians study in the US, has supported the fight for years. Munthe-Kaas is also campaigning for changes in regulations for overseas students to secure authorization in their fields when they return to Norway. Students who have, for example, taken nursing training outside the EU/EEA, such as in Australia or the US, are not given approval to practice when they return to Norway. They are sometimes told that they have to take part of their degrees again, despite a huge shortage of health care professionals in the country. “For students today there is nowhere they can go to clarify the criteria for authorization. That’s completely unacceptable,” Munthe-Kaas recently told state broadcaster NRK. ANSA has been pushing for The Norwegian Registration Authority for Health Personnel (SAK) to come forward with clearer information to students. She points to the Danish model, where students can find out before they start whether their proposed study will lead to authorization in Denmark. ”It’s interesting that they manage to have such a system in Denmark, but not in Norway,” she said. ​One reason for so many rejections is that SAK has recently changed the way it administers applications for authorization from nurses who trained in countries outside the EU or EEA. New regulations can make it extremely difficult and frustrating for experienced and well-qualified nurses from those countries to get jobs in Norway, and has in some cases led to alleged exploitation. With those kinds of challenges, it’s unsurprising that, in her first few days on the job, the new ANSA leader found it hard to prioritize. “You need to work politically and organizationally [in this job], and also fit the travelling in somewhere. I think it can be tricky to strike a balance,” she told DN.